← Brushing 101: How Often Should We Brush Our Teeth? One of the most important things we have is our smile. If you do not have a good smile this can actually affect your confidence and even your health. This is why we must make sure that we can maintain and keep up our smiles and teeth. There are a number of ways that can be used to maintain a smile such as brushing, flossing, and visiting your dentist on a regular basis. ORCHID Family Dental has high-quality Dental Services in Richardson, Texas that you can count on! If you would like to keep your smile looking amazing and make sure that you can maintain your oral health then brush regularly. Normally, you would want to brush your teeth twice a day for about two minutes each. This is typically more than enough to keep your teeth looking white and to maintain the health of your gums and mouth. But you can brush more if you would like to or after each time you eat if you are looking for the best results. Flossing is something many people tend to overlook. This is such an important part of oral care and it is critical that you do not forget it. 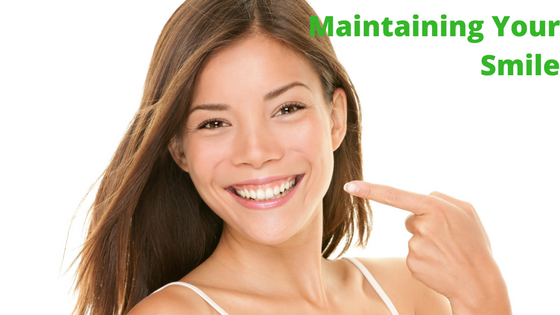 If you are looking for a healthy mouth, then you need to floss on a regular basis! Brushing your teeth is great but it will not get the bacteria and the plaque in between your teeth. If this plaque is left alone it can cause bad breath among other oral health issues. This is why you must floss twice a day or even more, to keep your smile looking great and fresh at all times. Visiting your dentist on a regular basis is crucial. They can clean your teeth with special instruments and they can keep you updated on the condition of your mouth. This information will allow you to determine what you need to do or change in order to keep your smile looking amazing and healthy, no matter what! If you would like to find out more about our dental care services and why they are so important, please do not hesitate to visit our website orchidfamilydental.com. Here you can find a wide assortment of different information regarding oral care and what you can do to improve your smile. If you would like to ask us any questions, we are more than happy to answer them for you. Just dial 972-424-3555. It is time to get the smile of your dreams! This entry was posted in dental care and tagged Dental, dental health. Bookmark the permalink.